Available with high pressure motorized and hand operated system. - Single acting Cylinder-Spring Return. - Max pressure 500 Bars. - Available with high pressure motorized and hand operated system. - Regulator consist of inlet & outlet pressure gauges. Inlet pressure gauge shows the total pressure of cylinder and outlet pressure gauge shows regulated pressure. 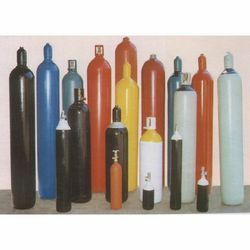 In order to attain maximum satisfaction in the market, we are counted among the best names in giving High Pressure Cylinder. They are smoother in edges and available at affordable rates. 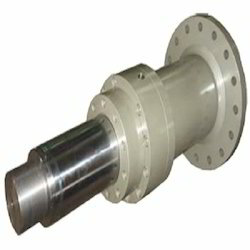 We manufacture a precision engineered range of Hydraulic Cylinder For Pusher On Furnace Application.These are fabricated using high grade raw material and tested on various parameters to ensure that our range is flawless. Further, we also offer customization facility on the products as per the requirements of the clients. We are looking for queries from Maharashtra only. Our hydraulic cylinders are devised under strict supervision. These are suitable for varying critical applications, viz. atomic, hydro and thermal power plants, defence, aerospace-industries, railways, etc. We use international quality seals in our industrial hydraulic cylinders and industrial hydraulic jacks, that are self-adjusting and are suitable for long trouble free life.